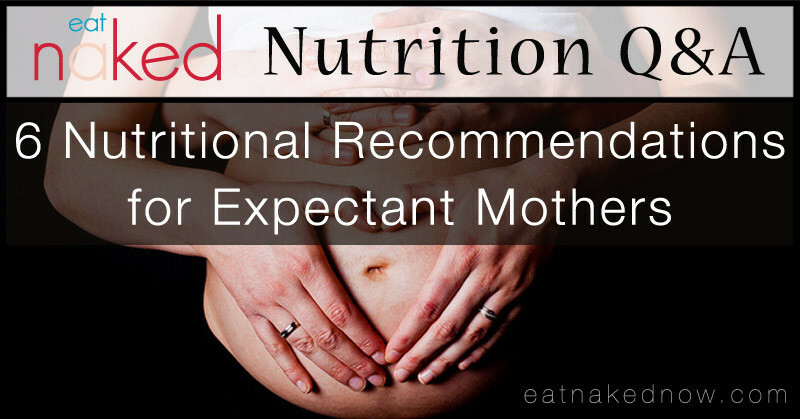 This week’s nutrition question comes to us from Stacy who asks: Do you have recommendations for expectant mothers? This is a great question and there’s truly no more important time to pay attention to what you eat than when you’re expecting. In fact, there’s even a theory, called the Developmental Origins of Health and Disease, that claims that an expectant mother’s diet significantly affects the future health of her child throughout his or her life. In other words, the most important time in our lives nutritionally could be when we were in utero. This is a profoundly important claim that puts prenatal nutrition into a whole new context. And so, yes, I have some very specific recommendations for expectant mothers. 1) Eat real food. This is by far the most important thing you can do while you’re pregnant. At best, processed and refined foods contain little to no nutritional value; at worst they can be toxic to you and your baby. Unprocessed, real, whole foods that are nutrient dense and prepared properly are the way to go, always. Eat food in a form that’s as close to its natural form as possible. Make it at home yourself. Use only those ingredients you recognize and/or could feasibly grow or raise on a farm. 2) Eat animal foods. I’m super sorry to any vegan readers, but if you’re expecting, then this is not the time to follow a vegan diet. A vegan diet is a cleansing diet. When you’re pregnant you are building a new human being, not cleansing. 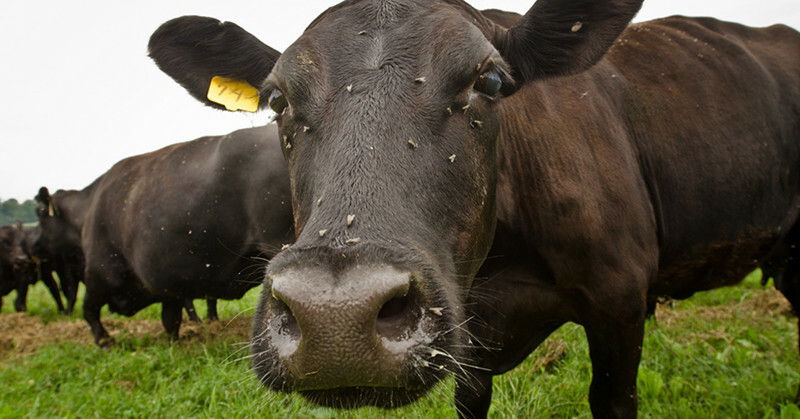 Some of the most vitally important nutrients you need at this time – vitamins A, D, K, the B complex, zinc, calcium, iron (just to name a few) – are all the most abundant and bio-available when coming from animal sources. Let’s take vitamin D as one example. Critical for bone development, immunity, and the development of the nervous system, it is vitally important for both moms and babies. Granted, the best place to get it is from the sun (without sunblock) on your full body for 20-30 minutes per day – which, let’s face it, is totally unrealistic for 99% of North Americans. This leaves us with dietary sources. The only truly viable dietary sources of vitamin D are: fermented cod liver oil (1 teaspoon), butter oil (2 teaspoons), or some fish (8-12oz of herring or salmon for example). To get the equivalent amount of vitamin D from a vegetable source, you would need to eat 16 pounds (yes POUNDS) of mushrooms A DAY! There are examples like this for all the key nutrients during pregnancy. Chris Kresser has done an exceptional job of comparing sources of these nutrients in his online program, The Healthy Baby Code. I recommend checking it out if you’re thinking I’m crazy and need more examples backed in hard science. 3) Eat plenty of good fats. This cannot be overemphasized. The current dietary advice for pregnant mamas to limit their fat intake or eat only low-fat products makes my skin crawl. In traditional cultures, the diets of pregnant women were anywhere from 50-80% fat. If you’re thinking you’ll blow up like one giant blimp eating this much fat, don’t fear! This is how I ate during my pregnancy and I can promise you that wasn’t my experience. I gained about 25lbs, right within the “normal” range, and most of that was in my belly. I constantly got comments on how healthy I looked and when I told people I was eating mostly fat they looked at me in dumb-founded amazement. I won’t go on about how it’s not fat that makes you fat in this article, because I already did that in another blog post here. But I will tell you that enough good fats are vitally important to your baby. Fat makes up the cell wall of every single cell in the human body. It’s critical for brain development, eye development, and a precursor to many hormones. It’s the body’s preferred fuel source and is not toxic at high doses, unlike starchy carbohydrates. What’s critical here is that you eat GOOD fats. Coconut oil, butter, or ghee for cooking. Monounsaturated fats such as olive oil, avocados, duck and chicken fat. And poly-unsaturated fats like those found in oily fish and flax. The fats you want to avoid like the plague are all vegetable oils and any refined oils, which are toxic and inflammatory. 4) Quality trumps all. This goes hand in hand with #1, but it’s worth re-stating in this way. Whatever you eat, seek the highest quality version of it you can find. When you are pregnant it is not the time to skimp on food. You are quite literally building another human being and you cannot give your baby what you do not have. It’s that simple and that important. 5) This is going to sound like it negates everything I’ve just said, but try not to stress about your food. Stress is very damaging to you and your baby, so be light about all of this and focus on the enjoyment of delicious nourishing foods. Use these ideas as a guide, not as a hammer to beat yourself up with. 6) AND: it’s never too late to begin. I’ve talked to many mamas at different stages in the pregnancy continuum (including many who didn’t know any of this stuff when they were pregnant and are now actively raising their kids). Regardless of what you ate yesterday, you (and your family!) can eat differently today. During pregnancy it’s also vitally important to supplement, but to supplement wisely. Sadly it’s just not possible to get the nutrition we need from food alone. I’ll share my thoughts on prenatal supplementation here next week. If this is new information or you’d like to learn more, I strongly recommend Chris Kresser’s Healthy Baby Code program. It is an outstanding, comprehensive and well-researched online program on all aspects of healthy eating for conception, pregnancy, breastfeeding and first foods. Have a nutrition question you’d like answered here? Just write to us at info (at) eatnakednow (dot) com with your question and we’ll add it to our list. A healthy pregnancy, the mother’s diet needs to be balanced and nutritious – this involves the right balance of proteins, carbohydrates and fats, and consuming a wide variety of vegetables and fruits. Great info and thanks! VERY interested to read what you recommend for prenatal supplementation next. We have a 10 month old now and desire another baby within a year or two, so I am beginning to consider how to build up my body stores for another baby. As well, do you have any thoughts on breastfeeding stages and if helpful to eat and supplement differently based upon a baby’s developmental stage or age?